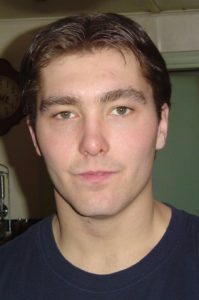 Justin Andrew Noble suddenly passed away in Kamloops, British Columbia at the age of 38 on January 30, 2019. Justin lived in Kamloops and Louis Creek, BC. Justin is survived by his father Terry W Noble, mother Patricia Lynn (nee McGee) Sanders, sister Angela Mays (Doug), several aunts, uncles and cousins. He will be dearly missed by his children, son William Jacob Noble and daughter Taylynn Lee Noble (Gobbee), Debra Noble, Jim Robinson, Allan Robinson, (Leah and Grant), Sheldon Dillon (Lisa). Justin went to school and graduated in Barriere, BC. He then went on to receive an Interprovincial Red Seal Auto Technician certification. Justin had a few hobbies including dirt bike riding and snow boarding. A Celebration of Life will take place on February 16, 2019 at 1:00 p.m. in the Fall Fair Hall, 4856 Dunn Lake Road, Barriere, BC. Please come and share with the family your favorite memories of Justin.